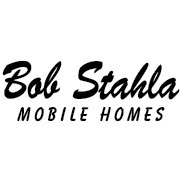 The most trusted name in the pre-owned mobile home business! We have been in business serving the Grand Island, Nebraska region since 1972. We have developed a solid reputation with the mobile home community in the area. We offer competitive pricing and exceptional customer service. We offer service and maintenance of mobile homes and recreation vehicles! We build construction offices, classrooms, and storage units to your specifications. Available to rent, lease or purchase.